Product and media designer based in the Netherlands. Graduate of the Design Academy Eindhoven, class of 2016. Most recently working on the development of analog cameras and mobile darkrooms. Minx is an instant camera, but instead of an automatic process, you develop the pictures with your hands. This happens inside the camera, using light-sensitive paper and developing chemicals. Through this experience, you make photographs that are one of a kind and develop a thorough understanding of the process and your subject. Minx can easily be hand-made out of laser-cut plywood and 3D printed parts. The open source plans enable to experiment with new attachments and modify the camera to your needs. Because of its compact size, Minx is highly mobile and even fits in your carry-on luggage. Minx is based on a decades-old apparatus called the Afghan Box Camera or Camera Minutera. It was used as a mobile photo-studio to take portraits on the streets, for people that had never seen a picture of themselves before. It was so astonishing to see your image coming from this foreign box, like a magic trick. Minx builds on the principle of openness to share this old craft and its values. The transparent parts allow an open view inside the camera, inviting everyone to observe how the photo is taken, slowly revealing an image on the white paper. Digital photography yields great results, but with the process hidden inside smart technology, we never fully understand why. This affects the value we attach to our pictures. 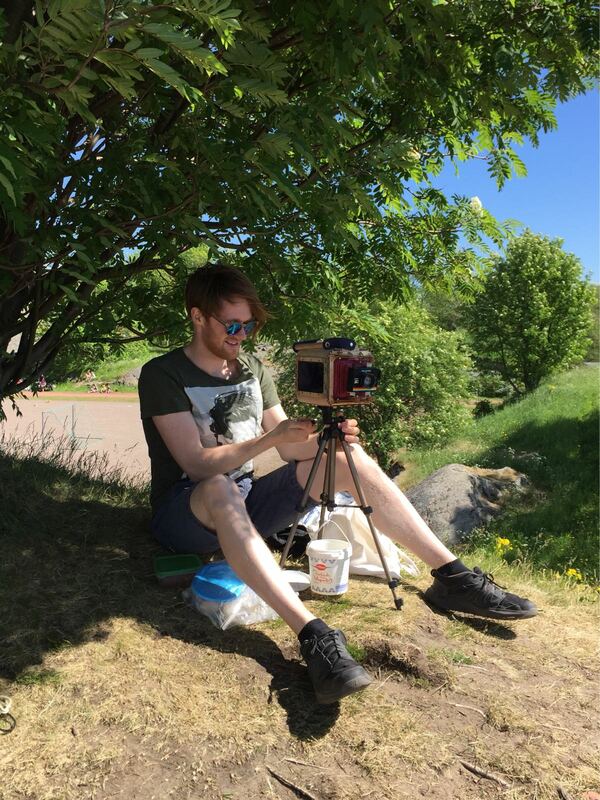 To revive the sense of achievement that comes with holding a photograph you took and developed yourself, Jasper Eikmeier created ‘Boxolab’: an analogue camera with internal photo lab. You construct it yourself using the blueprints from his wiki-style website. The photographs are developed by hand, with developing fluid and photo paper, inside the camera’s interior. With the time and care it takes to craft each image you master every step in the process.